Today every successful retail business happens online. If you want to easily connect your online and offline shops you should choose software that is reliable and safe to store your dynamic data. One of the most popular free e-commerce platforms in the world is Magento. Magento is backed by eBay. IncoCloud allows seamless integration between the POS data and Magento. In just 10 minutes following the steps below you can elevate your retail store to the next level. 1. Make sure that your database is uploaded to IncoCloud. If it is not go to Edit->Administration->IncoCloud… Login with your IncoCloud account. Press the button Add this database to add it to IncoCloud. Wait until the database is fully uploaded. 2. 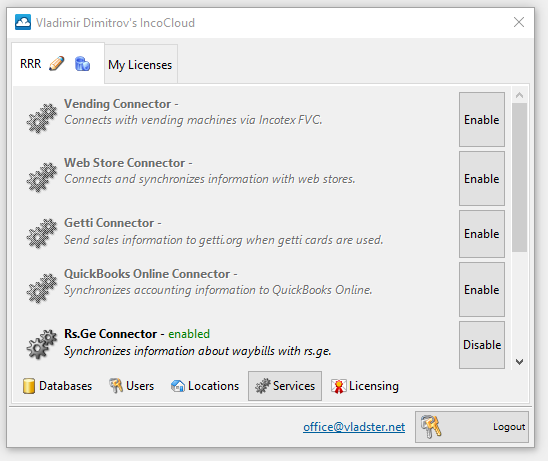 Login with your IncoCloud account. Select Services in the sections at the bottom. Enable the service Web Store Connector. 3. 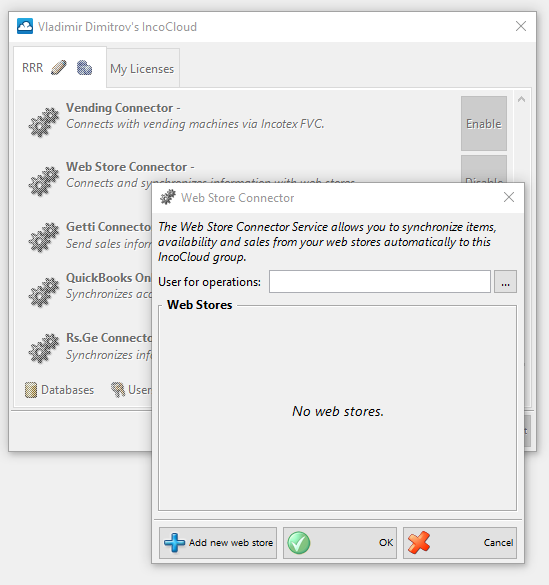 Click on the name of the service Web Store Connector to configure it. 4. Press Add new web store. 5. For type select Magento. For URL select the address of your store. Select synchronization interval and the rest of the settings which define how information will be synchronized when there are conflicts. 6. 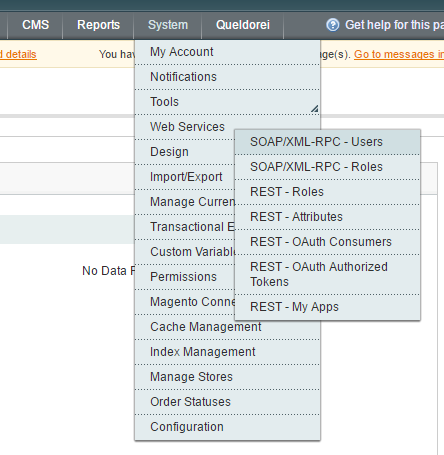 In the Magento administration go to System->Web Services->SOAP/XML-RPC – Roles and create a new user by pressing the Add New Role button. Enter a name for the role for example IncoCloud Role and the current administrator password in the Current Admin Password field. In the Role resources select all the resources. 7. In the Magento administration go to System->Web Services->SOAP/XML-RPC – Users and create a new user by pressing the Add new user button. Fill the details for the new user and enter a secret key in the New API Key field. Repeat the same secret key in the API Key Confirmation field. In User role section select the role you created in the previous step. 8. Return to the Web Store Connector configuration and enter the URL, the user and secret key from Magento to the configuration fields in IncoCloud. Press OK to save the settings and wait for a few minutes until the initial synchronization is performed. 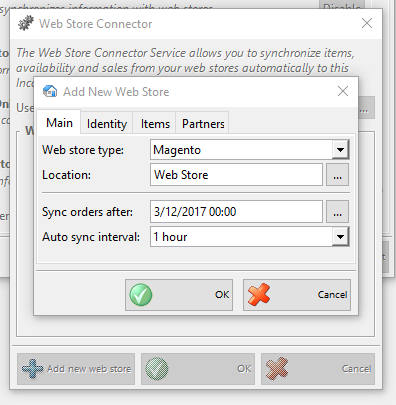 When you return back to the web store configuration screen you can see what was the result from the last synchronization and when it was performed. Welcome to 21 century! Now you can use the benefits of seamless synchronization and forget about constant manual updates of your database and finally concentrate on expanding your retail network.